If you’re interested in building your leadership skills, helping shape the direction of NetSquared, and want to help other Net2 organizers be their best please apply! We are accepting applications from all Net2 organizers until January 17. Find out more and apply at http://organizershandbook.wikispaces.com/Regional+Ambassadors. 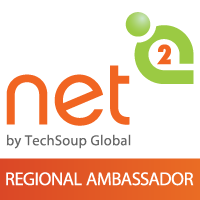 What: Regional Ambassadors will be selected from the NetSquared organizer community to serve as leads for their region. Any active organizer, including current and past Regional Ambassadors, who are interested in applying may do so. Up to 8 Ambassadors will be selected. Create a community of support for local organizers in your region by holding calls, answering questions, and being a mentor. Ambassadors are expected to reach out to their cohort at least once per month. Depending on funding availability, Ambassadors may also be invited to host a regional face-to-face event. There may also be an opportunity to participate in an expenses paid Net2 Ambassador meeting/training to be held before NTEN’s annual NTC (to be held in San Jose, CA March 2016). There is limited funding for this and we will prioritized new Ambassadors who have not previously received travel bursaries. Criteria for selection will include sustained and significant contribution to the NetSquared program (holding events for at least 1 year), demonstrated leadership ability; connections to the tech for social good sector in region; ability to communicate clearly; demonstrated enthusiasm for the NetSquared mission. Please contact the NetSquared Community Manager with any questions.